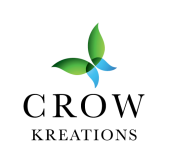 CrowKreations was formed in 2009 to serve the marketing needs of the wellness practitioners in the towns and cities of Western North Carolina. Kimberly's experience working at the Haywood County Chamber of Commerce enriched her natural abilities to network. Her Friendly Connections lend a personal and unique style to marketing. View our portfolio for examples of our work, and review our specialties to learn how we can help you grow your business through websites, social media, blogs, and email campaigns. Contact Kimberly for more information and learn how she can help you with internet marketing solutions for your business. "The Early Pioneers of both Wellness and Network Marketing were motivated by the sense that it was possible to create better life than the Conventional Routes offered - Better Personal Health and Better Economic Health, respectively. Now the 'Alternatives' of Yesterday gave become the Economic Powerhouses of Today and Tomorrow."